I’ve noticed that as soon as I sign up for a seminar or workshop, changes begin. It may be just the decision that triggers change, or it may be something more esoteric. A few weeks ago I decided to go back into the studio with my band and record my sixth singer-songwriter album. As soon as I decided to do this, song ideas and new opportunities came to me. 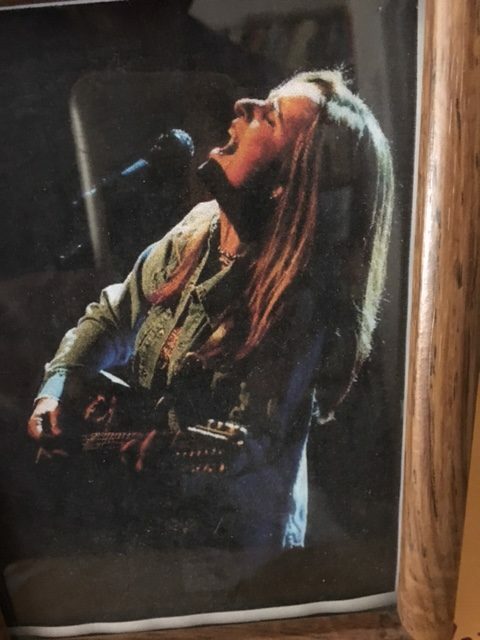 For example, one day I looked in Facebook and there was a notice that rock legend Melissa Etheridge was doing a crowdfunding campaign for her new album. As you’ll see in a minute, I’m a huge fan of hers. I scanned her offerings and there was one for a two-hour, in-person, songwriting lesson with Melissa herself. It also made me nervous. After all, I’m a newbie as a singer-songwriter and Melissa is a goddess at it. Within 24 hours, new energy for music hit me like waves of hot electricity. I started writing new songs almost instantly. Yet I haven’t had my session with Melissa yet! As I mentioned, I’m a huge fan of Melissa Etheridge. Have been almost twenty years. 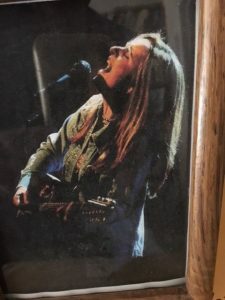 I fell in a hypnotic trance when I saw her on TV around 1995, scorching the screen with just her voice and acoustic guitar on an episode of Unplugged. I mentioned her in my book on P.T. Barnum, There’s A Customer Born Every Minute. I’ve seen her perform live numerous times. I was a card carrying member of her fan club for years. I bought a guitar signed by her. I bought and read her autobiography. I bought her song books to learn how she wrote her hits. I tried to meet her, too. She was going to be in the same organization I’m a member of (Transformational Leadership Council) and I thought I’d see her at one of our retreats. But I will, when I have my private songwriting lesson with her. And knowing I will, and knowing I will discuss my singer-songwriter passions with her soon, has turned on some “music production” switch inside me. Just this morning, as I was working out, I received an entire song. It just sort of “appeared” in my head. I knew it was good because I couldn’t stop humming it. I jumped off the treadmill and wrote the words down. It was a complete song. I was amazed and delighted that it came with no effort and came by inspiration. But it came AFTER I booked my lesson with Melissa and BEFORE I’ve had it! Throughout my life I’ve noticed that when anyone makes a decision to attend an event designed to improve them, changes begin. I saw it when I signed up to do a fire walk decades ago. I saw it when I registered to experience The Forum seminar long ago. I saw it when I signed up for Bill Phillip’s Body-For-Life challenge ten years ago, and more recently when I registered for his Transformation Camp and personally trained with him. 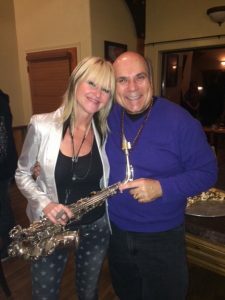 I saw it when I booked a saxophone lesson with Grammy nominated sax player Mindi Abair. And I see it almost daily when people join my Miracles Coaching program. As soon as they sign on the dotted line, and know they are committing to change, the change begins. I’m convinced it’s the decision to change that does it. The decision sends a solid message to all parts of you that you are going in a new direction. Suddenly your mind has a new target; a new goal. Instantly your brain goes on “alert” for anything to help you with the upcoming changes. There may be a more esoteric reason for it, too. When you declare you are going to do something new, the Universe takes note, applauds you, and sends you support. It’s like turning the ignition switch on to engage the Law of Attraction. So, if there is something big you are considering doing, I say DO IT. Show your support for your desired change by signing up for it. It’s a concrete way to tell yourself and the world that you are doing something new, and you and the world respond by beginning the change that very day. And yes, I am VERY excited to meet and learn from the rock icon herself – Melissa Etheridge! 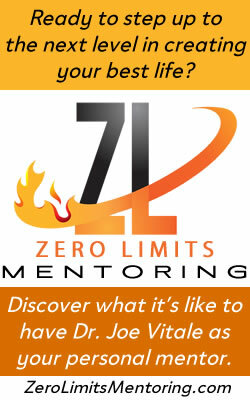 PS – Learn more about Miracles Coaching. I LOVE this article, Joe. 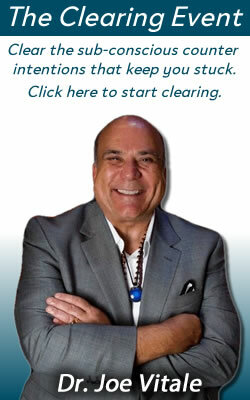 Part of the energy, I’m convinced, comes from creating synergy by our decisions. This hearkens similar types of stories, including our times together within the synergistic energy context. I’ve noticed the same thing over the years. While I was training to become a Reiki Master, it happened whenever I made the decision to attend a seminar with my teachers, to watch them teaching others and make notes for myself. I found certain physiological changes happening that told me that my system was cleansing itself on both physical and mental levels. It’s as if the effects of what I was about to learn about myself were reaching back in time and manifesting themselves ahead of time. BTW, I’ve just read your book “Samandy”. It’s incredible. I hope you’re planning to make an audiobook version of it. Always enlightening to read your articles Joe, I am an avid reader and have decided to begin acting on the impulse to contribute where I can. I have experienced the mysterious manners of the universe when it comes to taking action also, it is a wondrous thing. Oh yes! That’s what started it all for me. Oh, that’s the show that started my passion for Melissa! Thanks. Hopefully this will work as inspiration for learning to play guitar. I am also a big fan of Melissa Etheridge. She signed my guitar in a Meet and Greet. I thought that should be enough for Inspiration. I think now I am scared I will fail. I love music way to much to fail.